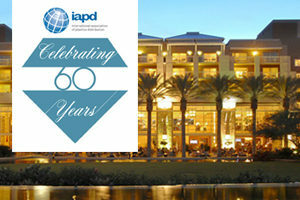 Nylatech is excited to be attending this year’s International Association of Plastics Distribution 60th Annual Convention in Phoenix, Arizona. This diamond anniversary celebration promises to be like no other. We’ll celebrate our accomplishments over the last 60 years as well as look forward to the next 60 years and what the future holds for performance plastics. The convention takes place between October 4 to 7 and promises to be a great week of learning and sharing (and having fun). Exhibitors will showcase the latest in plastics innovation, keynote speakers will share industry insights and the educational sessions will teach us sales and leadership skills and much more. Of course, the week won’t simply be about work, but we’ll help raise money for the IAPD Charitable Foundation by playing some golf and getting some great tips from Hank Haney, professional golf coach. We are especially excited about the opportunity for each attendee to set up a one-on-one meeting with president and CEO Dale Delmage. He along with Nate Merkt and Calvin Petersen will also be available as your main contacts. This is the one time each year where all the performance plastics experts are located in the same place available to network and share learnings and key industry news. We look forward to seeing everyone there and catching up! We’ll be at IAPD 2018. Will you?